In this lecture, we’re going to cover the first part of our patent module and talk about what is a patent and discuss the standards for patentability. So the agenda for this lecture is to first take a look at the architecture of the patent system. What is the patent system? Who are the players? How does it work? How does it operate and so forth? And then we’re going to talk about patent theory- a little brief aside on what we think patents are doing. The patent system has three large components, if you think about it from a system perspective. The first is this administrative agency- the United States Patent and Trademark Office. Although for purposes of patent law, we’re only going to be talking about the patent side. The Patent Office, or the PTO as we sometimes call it, evaluates patent applications for their compliance with the standards of patentability. So every time somebody wants a patent, you have to come and apply for a patent at the Patent Office and get it evaluated. So this agency, because it touches every patent that comes- every application, it decides whether these applications meet the standards and therefore can be granted its patents- is an important player and a key player in the overall system. It’s a document that’s filed- put on file in the United States Patent and Trademark Office. Then the third major piece of the architecture of the patent system is the private enforcement system. Another interesting thing, and what makes the litigation component of patents so important, is that when you litigate a patent, when you dispute with somebody over whether or not you’ve infringed a patent, everything that Patent and Trademark Office did in terms of granting a patent is up for grabs. It’s fully reviewed, which means you can end up, if you sue somebody for patent infringement, losing your patent. The patent document is- in particular, the front page of a patent document- is a real study in information design. The idea of a patent document, and in particular the front page, is to present to the user, the reviewer, as much of the critical information as we possibly can in as small and compressed a space as we can. Google has a patent search that you can go to and search for patents. Just randomly search for, either, kinds of technologies, you can search for a patent number. There are different sites out there that will generate a random patent for you and let you take a look. Every patent is numbered and identified by its own individual number. The date that you filed the patent is critical, both because that determines the prior art that can be used against you in a validity determination, as well as your priority, and the issue date, which is important for purposes of when your patent becomes prior art for other people. So those are important dates and they’re right on the front page of the patent. Who the inventor is is on the front page of the patent and who the assignee is. Most patents do tend to be owned by companies because most employees have an obligation to what we call assign the rights to their patent to their employer. So if a particular company owns the patent at the time it was issued, it will be listed there on the front page so you know who to contact, for example, if you want more information about the patent. The Patent and Trademark Office runs a very extensive and comprehensive system of classification of technology. So they will give it to a patent examiner who knows the particular field in which you are working and therefore can be more efficient about reviewing the patent application. Second, it allows the patent to be classified for purposes of searching. So if somebody later files for a patent on a similar technology, and the patent examiner can look in a particular technological field, say number 123, field 123, and look at all the patents in that field and know that they are grouped together with other patents of similar technology, it makes searching much more efficient. The different pieces of what we call prior art or other references will be listed so that you get a sense, as the reader of a patent, of where this patent is located in the field of technology in which it operates. Now it’s important to know that the words in a patent application, and therefore the words in the patented issues, are under the control of the patent applicant him or herself, which means there are incentives for how you do things, like create titles or write abstracts. You can see here this is a patent for a Segway-type device. A classic statement of patent law is that, in patents, the name of the game is the claims. That’s basically what we would hope that patent claim language would do, which is outline what exactly the inventor claims as his or her invention, and therefore what’s protected, but perhaps even more importantly, at the same time, define for everybody what the inventor does not claim- what things are outside the scope of the claim and therefore open for people to make their own products or invent in themselves. So patent claims are the subject of an extreme amount of strategic thought when it comes to patent law. Because patentees, of course, have incentives to draft patent claims that are broad, because the broader the patent claim is, the more coverage you get in the marketplace, the more potential for economic gain you will have. At the same time, your patent claims can’t be too broad. Because if they are too broad, you will run afoul of the various standards for patentability that we’re going to talk about throughout the course, such as the novelty requirement, or the non-obviousness requirement. The more breadth you put into your patent claims, the more prior art you will sweep in, and the more potential you have for an invalid claim. So what you see in patent law is a strong incentive for patentees to generally be, at the same time as they are being quite specific about what their invention is, keep their options as open as they can in terms of being able to later on expand the scope of their patent claims. The patent claims from a public’s perspective should be as clear and as crisp and understandable as possible. Patent claims aren’t that, obviously, because they are the product of technology, which doesn’t lend itself to nice clean boundaries like that. The prosecution phase is between you and a patent examiner assigned to your case- sometimes two or three, but usually just one- assigned to your case, who evaluate your patent application for compliance with the standards of patentability. The prosecution phase ends when the Patent Office is satisfied that your application meets the standards for patentability. For the rest of the patent term, you can enforce your patent. You can sue people in Federal court for violations for infringing your patent. Once the patent expires, which happens 20 years from the date that you applied for it, that’s it. It becomes free to the entire public and in some cases in the pharmaceutical context, you will actually see drug companies have trucks loaded in the loading dock at midnight of the night that patents expire, because there’s such a value even left over at the end of a patent term. There’s particularly intense incentives for patent examiners to issue patents, and there has been in the past as well. One of the ways that patent examiners have long been evaluated, like almost anyone else, is by their productivity, and how you measure productivity among patent examiners is in how much workflow they have, how many patents they process on a daily, weekly, monthly basis and so forth. If they reject patents, then that means the patent applicant is going to complain or argue with them, and there’ll be a back and forth and that application will continue to be processed. We want them to grant patents for sure, but from a broader public perspective, we want them to grant the right patents, grant only those patents that meet the standards for patentability, and so that causes a lot of tension in the system. The first phase is inside the Patent Office, the Board of Patent Appeals and Interferences, otherwise known as The Board. If you’re dissatisfied with what your examiner is doing, you can appeal internally, and then you can also appeal outside the Patent Office if you ultimately are rejected by the internal procedures of the Patent Office you can appeal to Federal court and ultimately end up at the Federal Circuit. Importantly, and as I noted earlier, the courts are empowered to review the validity of the patent, meaning everything that went on in the prosecution phase is fair game in litigation. Patents enjoy a presumption that they are valid, which means that the standards, the evidentiary standards, for overcoming that presumption can be relatively high, but nonetheless everything gets reviewed. What that means is if I am, for example, building a new manufacturing plant, and I am concerned that I might be infringing your patent, I am empowered by the patent law to sue you as the patent holder for a declaratory judgment that I do not infringe, so it’s in a sense a lawsuit in reverse. Very often I will want to have a declaratory judgment action, not necessarily because I think that I am not infringing your patent, but maybe I think your patent is invalid, and I want a court to resolve that before I make investments in new products. What that means is that for most patents, when I file for them, I expect a negative return. I’m probably hoping for a higher return but as it turns out, most patents probably have negative value, that the cost of obtaining them is not offset by any revenues that I will ever see from them. So I showed a version of this graph earlier in the course, but this just shows the patenting activity over the last 20 years, and the takeaway point here is that the amount of applications and, to some extent, the patents granted has more than doubled over the last 20 years. Now, the Patent Office over the last five or six years has been engaging in a very, very aggressive effort to diminish the backlog, but it’s still a huge problem, and it’s a problem not only administratively, just because there’s a million, a million two, patent applications sitting on desks in Alexandria, Virginia, it’s a political problem. It’s a political problem for the Patent Office itself, because it needs to make its customers, which it refers to as patent applicants, happy and they aren’t happy if their patents are backlogged. The other thing from a society’s perspective that’s problematic about this is that the easiest way for the Patent Office to diminish the backlog would be to simply grant all these patents that are pending, and that would be a bad thing, because what we need the Patent Office to do is evaluate all of these patents, make sure they meet the standards of patentability so that we don’t get invalid patents out there in the marketplace. So let’s talk a little bit now about patent theory. So what does a patent do? Well a patent creates a lot of different kinds of incentives. If you don’t invent something, you don’t get a patent. For one thing, patents create an incentive to disclose because you can’t get a patent without disclosing everything there is about your invention. So that incentive to disclose things is a really important component of what the patent system does. It encourages people to commercialize their inventions, and we want this, right? Patents, inventions are no good to people if they’re stuck on the lab bench. Because the only way you can make money off of your patent is by having something in the commercial marketplace, either you making it or having somebody else make it on your behalf. Every day that you don’t commercialize your patented invention, you lose that day because the term is running. Incentives to design around are an important feature of the patent system as well. What I mean by that is if I have a patent, and you’re my competitor, I may be able to prevent you from competing with me directly, by making a direct copy of whatever my product is. What I won’t be able to prevent you from doing, is designing around my patent, creating a technology or a product that’s very similar to my patent, but actually doesn’t infringe. Or I can do it a little bit differently to avoid the patent, is an important incentive that creates social value. The fact that patents have marketplace value- and increasingly, one thing we’re seeing is that patents have real value in and of themselves, so you can buy and sell patents in the open market. Because even if they ultimately decide to not engage in making the product that they researched in, the patent still exists. They can keep the patent and put it in a subsidiary, whatever it is. So it gives just that extra little bit of marginal incentive to invest, which is what helps create the overall incentive structure of the patent system. In economic terms, with the is, is a right to exclude others from the scope of the patent. Nobody else gets to control what I can and can’t do with my patent. Patents are not typically monopolies, but the quantity of the reward will of course depend time in the marketplace value that’s placed on your patent and invention. There are other possible mechanisms for patent systems- and we’ll talk about those in a moment- or other possible alternatives. Cost of the patent system, we’ve discussed these a little bit earlier in the course. Monopolization cost, rent seeking behavior, restriction on future innovation are all important features of the patent system. Again just recognize there’s a lot of other alternatives to doing patents. The patent prosecution phase is the phase when a patent applicant files their patent application with the Patent and Trademark Office and seeks to have that patent granted. During the prosecution phase, the Patent Office will evaluate that patent application for compliance with the standards for patentability. In order to get a valid patent, it must be fully and appropriately described. The standards for utility in the patent system are not particularly high, but they are there. We will save the Section 101 inquiry till the end of our patent module, because really, what subject matter we allow for patenting is a question of policy more than it is a question of law. So it’s important to recognize that when we talk about standards for patentability, we’re conducting what we call a patent validity analysis, and that this occurs at multiple points during the life of a patent. In order to get a patent at all, you have to meet the standards for patentability. The Patent Office is going to evaluate your application in light of the standards for patentability. If you sue somebody for infringement of your patent, your patent will be evaluated for the standards of validity, because a defense to patent infringement is for your defendant to charge, to say, that your patent is invalid, that it doesn’t meet one or more of the standards for patentability. People will be looking at your patent once it’s granted and trying to evaluate it, sometimes hiring consultants at very high rates to evaluate whether or not there’s a validity problem with your patent and recommend a course of action on as a result. There is a presumption of validity in the law, which means that you need to show clear and convincing evidence of invalidity in order to find a patent invalid. A determination of no invalidity is not final, which means that even if I successfully defend my patent during one litigation, the next time I litigate, that patent can be attacked again, often for the same exact issues. It’s strictly between you and the patent examiner. You can have continuation applications, which means that when the patent office rejects your application for noncompliance with one of the standards for patentability, you can continue your application, often an entirely new application, and essentially just keep the application going, keep trying to get your patent rights granted. The first step, if you wanted to appeal a decision by a patent examiner, would be to go to the internal Board of Patent Appeals and Interferences. The reexamination and reissue processes are an opportunity for the Patent Office and, in some cases, the patentee, him or herself, to get a do-over on the patent prosecution phase. The reissue is where the party to the patent itself seeks to fix some kind of a problem with the patent. In order to get a patent, you have to fully and appropriately describe it. The enable that requirement is found in section 112 of title 35 and says that the specifications shall contain a written description of the invention, and of the manner and process of making and using the invention, in such full, clear, concise, and exact terms as to enable any person skilled in the art to which it pertains, or with which it is most nearly connected, to make and use the same and shall set forth the best mode contemplated by the inventor of carrying out his invention. The manner and process of making and using the invention, in such full, clear, concise, and exact terms as to enable any person skilled in the art to which it pertains, or with which it most nearly is connected, to make and use it. So what the enablement requirement is is a requirement that the patentee, in order to obtain the patent, describe to people of skill in the art how to make and use the invention. 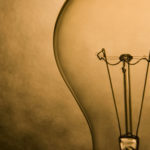 The inventors of this patent had discovered, through a fairly painstaking effort of testing over and over again different materials, that a particular kind of material worked very well for the filament component off an electric lamp, and they sought a patent for it. So the challenge here was that Sawyer and Man, the inventors of the incandescent lamp patent that’s at issue here, did not provide enough disclosure, enough detail to a person having ordinary skill in the art to understand the invention. So the first question in all of these analyses is what does the claim saying? So we claim as our invention an incandescing conductor for an electric lamp of carbonized, fibrous, or textile material, and an arch or a horseshoe shape substantially as herein set forth. The argument that the opponents made was that Sawyer and Man did not enable the scope of carbonized, fibrous, and textile material because they had only actually invented a small subset of carbonized, fibrous, and textile material. So question number two in an enablement requirement is what did they describe? What did they enable? And here what they enabled was, you can see in the picture, that they enabled some and then, in looking in their patent specification they say, starting at line 75, in the practice of our invention, we have made use of carbonized paper and also wood carbon. So they only said, in terms of disclosures of carbonized, fibrous, and textile material, carbonized paper and wood carbon. It could be a bunch of other kinds of materials, more than what Sawyer and Man actually listed in their patent disclosure as what they had tested. The issue here is that in order for a person of skill in the art to understand what the inventors actually meant by carbonized, fibrous, and textile material, they would have to do a bunch of experimentation, just like Sawyer and Man did, in order to figure out which pieces of material worked and which pieces didn’t. Under the enablement requirement, if you’re going to claim carbonized, fibrous, and textile material, you have to tell people of skill in the art which materials are going to work. So looking back at the incandescent lamp case, One of the ways that Sawyer and Man could have avoided the problem that they had was by claiming more narrowly, limiting their claim language to simply carbonized paper, for example. This is going to be primarily in the litigation context a battle of the experts where you bring in an expert saying that, of course, your patent is fully disclosed and a person of skill in the art would understand it. Next, let’s talk about another disclosure requirement in the patent law, the written description requirement. The written description requirement is also found in Section 112 of Title 35. And it merely says that”The specification shall contain a written description of the invention. ” So the first question to ask is, is this different than enablement? Well, it’s different than enablement in the sense that the enablement requirement, which we referred to earlier, has a much lengthier description of what exactly is required. The written description requirement doesn’t tell you what needs to be satisfied. It just tells you that it must be there, that there must be a written description. So the courts have, over the years, decided that written description and enablement are actually independent and distinct requirements. So the case that I want to look at with respect to the written description requirement is a case involving sectional recliners. So what the court says is that this violates the written description requirement, because the patentee did not describe exactly what the invention was in sufficient detail. This is one of the fairly rare cases that enablement and written description do not turn out the same. When it comes to the written description requirement, the court says there’s a higher standard and that you actually have to say quite specifically what it is that you have invented. The fact that what Gentry Gallery did was in their description, in their diagrams and their drawings, they only located the controls on the console, that that violated the written description requirement. Because one of the ways that Gentry Gallery could have overcome the written description problem would be to disclose more broadly. So this tight relationship between disclosure and claims is really what the written description analysis tries to enforce. From a broader perspective in the patent law, there is a big question about what the difference is between enablement and written description. The enablement requirement will typically be satisfied in cases where the written description requirement is also satisfied, and vice versa. The purposes of enablement and written description seem slightly different. The purpose of the written description requirement is more directed to getting the patentee to be very specific about what he or she considers to be her invention at the time of the patent filing, whereas the enablement requirement is more about teaching. In the written description requirement, it’s making sure that we are keeping the patentee on record as to what he or she thinks her invention actually is. The written description requirement is going to apply quite differently to different technologies. The more uncertain the technology is, the more detail you need to provide with your written description. It does mean that there’s going to be a difference in the way that the law is applied between complex, uncertain areas of technology like chemistry and biology, versus relatively simple mechanical inventions, which are very rarely going to have any trouble with the written description requirement at all and therefore have a lower disclosure requirement than other areas of technology. I was wondering if you could share a simple meal plan for the week. You ve showed us your food prep and materials but could you share a list of M-F what you have as options for each B, L, and D? Are you referring to the MOOC summaries for the MOOC at http://www.chopchopmoocs.com/child-nutrition-and-cooking/ ?